This post is long overdue, but AAJA Seattle is happy to announce its new board members! Corinne Chin is a video editor at The Seattle Times, where she works with a dynamic photo staff to film and edit short documentary films and compelling visual stories. Before joining The Seattle Times in 2014, Corinne was a freelance video journalist reporting in Washington, DC; Nairobi, Kenya; São Paulo, Brazil; and more. A Chicago native, Corinne also taught fine art photography and documentary film to underprivileged teens on the city’s West and South Sides. Corinne earned a bachelor’s degree in magazine writing and a master’s in video journalism from Northwestern University, winning a Midwest Emmy for her master’s capstone, a documentary on an ex-gang member fighting gun violence in North Lawndale, Chicago. Her work has also been recognized by several other groups, including the National Press Photographers Association, the Illinois Press Photographers Association, the Society of Professional Journalists, and the GroundTruth Project. She has lent her skills as a coach for the Story Arc cinematic journalism workshop. AAJA Seattle’s National Advisory Board Representative represents the Seattle chapter at national board meetings. Patranya Bhoolsuwan and Michelle Li, Co-VPs of Events. Patranya Bhoolsuwan is a reporter at KIRO-TV. Before coming to Seattle, Patranya was a reporter and weekend anchor at KLAS-TV, the CBS affiliate in Las Vegas. It was there where she won the title of “Best Reporter” by the Nevada Association of Broadcasters. She also earned an Emmy award for her investigative news series on the bullying epidemic in Las Vegas public schools. Patranya has also worked as anchor and reporter in Redding, Reno, and Washington DC. She started her journalism career as a writer/producer at KRON-TV in San Francisco. Patranya was born in Bangkok, Thailand. She grew up a diplomatic brat and traveled around the world with her family. She moved to the U.S. to pursue her dreams of becoming a reporter. Patranya graduated with honors from the University of San Francisco with a degree in communications and political science. Michelle Li is a journalist at KING5. Previously she worked as the primary anchor for stations in Wisconsin, the Coastal Carolinas and Southwest Missouri. Michelle is a modern television journalist who is known for interactivity work. Google often showcases her unique livestreams in newsrooms across the country. She has received 8 regional Emmy awards, including 4 consecutive ones for interactivity in the Chicago and Nashville markets. She’s received multiple Emmy nominations and awards for her reports on synthetic marijuana, deadly tornadoes, foster care concerns, women’s reproductive health, national scams and distracted driving. In 2012, she was named Anchor of the Year for the Carolinas by the state broadcasting association. And, she’s earned 3 regional Edward R. Murrow awards — two for writing and one for feature reporting, including a national Murrow for feature reporting. Michelle is a Korean adoptee who spent many summers volunteering with adoptive families and in orphanages in Seoul. She also started a television program in Missouri to help foster kids find permanent solutions. For that, Congress honored her work with an Angels in Adoption Award. She later returned to Washington, D.C. as a guest speaker at the National Press Club on behalf of Holt International. 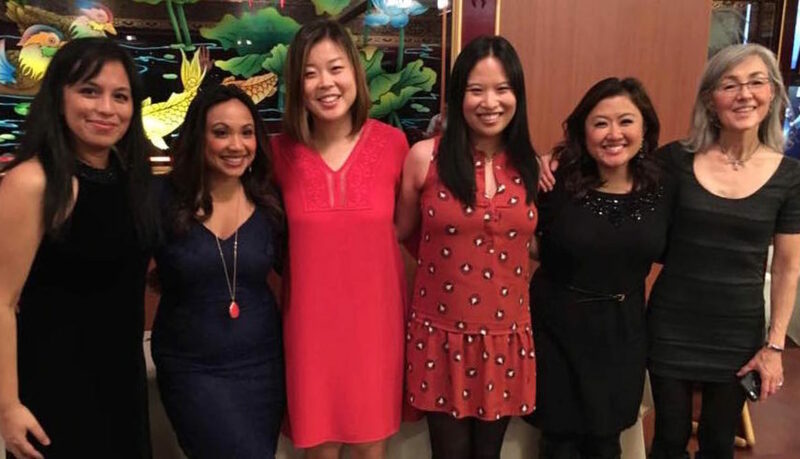 AAJA Seattle’s VPs of Events plan fundraising and outreach events such as the annual AAJA Seattle Lunar New Year and the AAJA Seattle Chef Showcase. We are looking for a few good board members. Could that be you? Nominate yourself or another members to serve on Seattle’s chapter board: Vice President of Events, who’s in charge of managing fundraising events for our chapter, and Treasurer, in charge of managing the chapter’s money. We also are seeking an interim National Advisory Board Member, a one-year position to represent Seattle at the national advisory board meetings in the spring and summer. Do you know a good candidate? You can nominate someone (including yourself) by October 14, 2016. The nominee must be a full member of AAJA. Please email us at aajaseattle@gmail.com with your nominations or questions.